If no category is specified for a post then the post is automatically filed into the default category. In a new WordPress installation, the default category is ‘Uncategorized’. A website administrator can change default category from Settings » Writing screen. A WordPress post can be filed under multiple categories and can have both categories and tags. 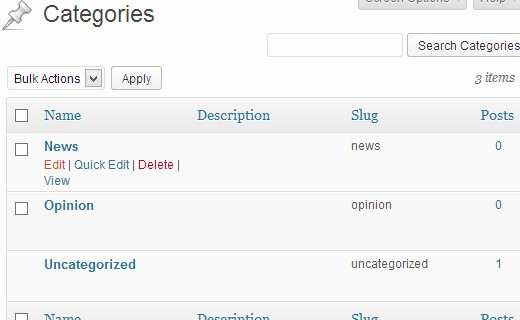 You can also add a category directly from the Posts » Categories screen. Provide a name, and if you want you can add a Slug, which is a URL friendly name in lowercase and can only have letters, numbers, and hyphens. If you are creating a child category then choose a parent category. Provide a description for your category and click on Add New Category button. Only the category name is the required option to create a category and you can skip slug, parent, and description field if you want. Categories can be displayed in the sidebar using categories widget. Go to Appearance » Widgets and drag and drop Categories widget to a sidebar. It will list all your categories in the sidebar, except for categories that do not have any posts filed under them. 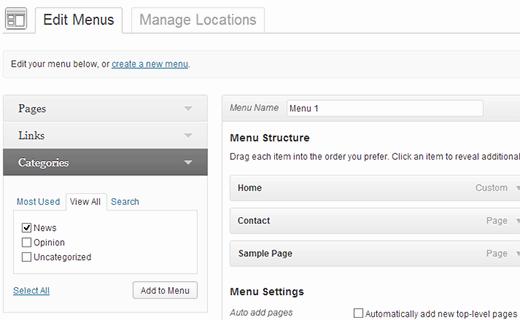 You can also add categories to your website’s navigational menus. Go to Appearance » Menus. Click on categories, select categories and then click on Add to Menu button. On the front-end of your WordPress website, each category has their own page. Most WordPress themes come with a template called category.php which controls the display of a category archive page. Each can also have their own template. Categories are a hierarchical taxonomy, meaning that each one can have child categories. A child category is usually used for a sub-topic under a broader topic. Example: A news website may have a category News with child categories for Local, National, Global, etc. 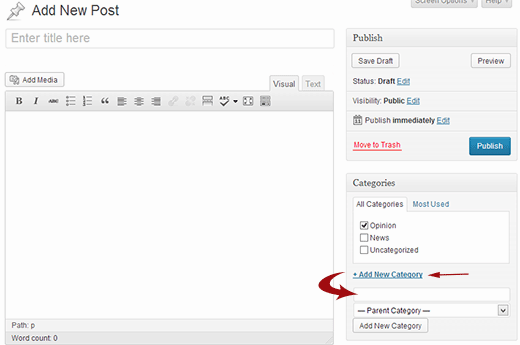 You can add a child category while writing a post or from the categories screen. 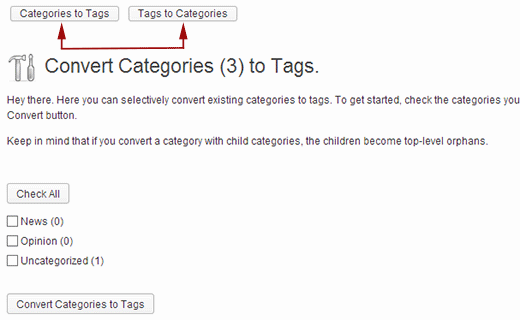 Just select a parent category when adding a new category and your new category will become child category. 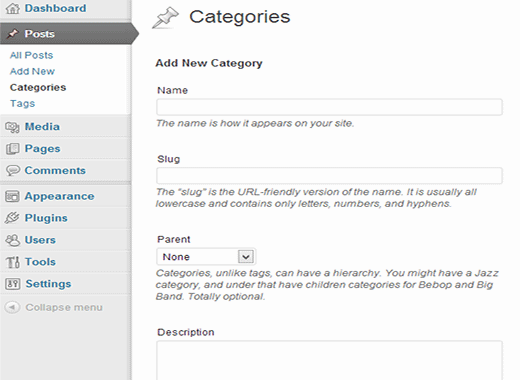 Categories and tags are both pre-defined taxonomies in WordPress. However, they are both different in scope. As for usage there are no restrictions, and you can have as many categories as you want. However, categories in WordPress are like broader sections of a website while tags are like keywords. Sometimes you may want to change your categories into tags or tags into categories. To do that, go to Tools » Import and click on Categories and Tags Converter. A pop-up window will open asking you to install the importer, click on the Install Now button. Once the importer is installed click on Activate Plugin & Run Importer. Hope you can join the OVHS Board on September 20 at 3:00 p.m. at the Oro Valley Public Library for the OVHS monthly meeting. All are welcome. Bring enthusiasm and ideas! Jim Williams will be at Steam Pump Ranch on Saturday, September 8 from 9 to noon autographing his recently released book, Claiming the Desert. It focuses on the history of Oro Valley from 1865-1965. Jim will have books available for purchase. They are also available on Amazon. All profits from the book are being generously donated by Jim to OVHS!